ADD UPDATE, 5 September 2017: At Eastleigh Borough Council’s full council meeting on 20 July, representatives from environmental groups, local community groups and elected bodies all spoke AGAINST the council’s preferred proposal for its emerging Local Plan, namely a monster housing sprawl (5,200 new homes) and a major new road north of Bishopstoke and Fair Oak and south of Colden Common, Owslebury and Upham (its options B and C). “It is evident that the proposed North Bishopstoke route and development poses great threats to highly sensitive environmentally protected areas: the Itchen Valley is such an area. “The proposed link road, by definition, will carry vastly increased volumes of traffic across the Itchen Valley Special Area of Conservation (SAC). “The Itchen Valley SAC is already under threat from development and degradation of water quality in the chalk stream with consequent impact on wildlife. Water abstraction from the Itchen and Test is at an unsustainable level and the Environmental Agency has requested Southern Water to reduce its water take-up by some 40%. With proposed further major development in the Itchen Valley area, I fail to see how such an endeavour is possible. 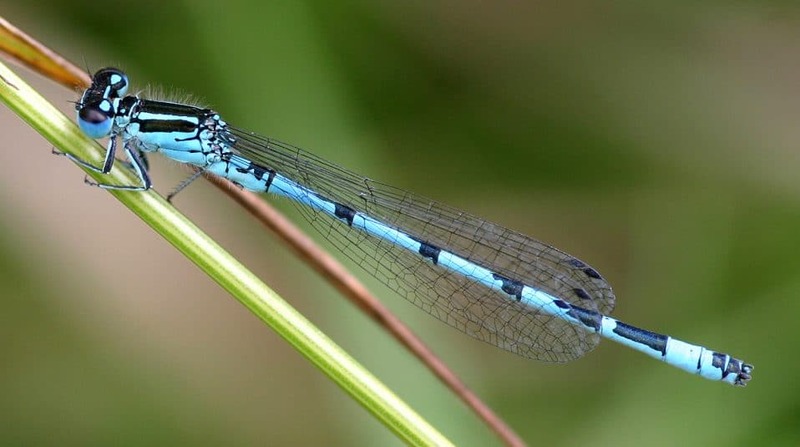 “The Southern Damselfly [see image above] is under great threat from impacts on its environment in the Itchen Valley. Some 25% of the global population exists in the UK: the New Forest in Hampshire and the Preseli Hills in Pembrokeshire, with scattered populations in Devon, Dorset and the Gower Peninsula, and single populations in Anglesey and Oxfordshire. There are also large centres of population in water meadow ditch systems surrounding the River Itchen and, to a lesser extent, the River Test, in Hampshire. “This area is listed in Annex II of the European Community Habitat and Species Directive (1992), which requires the designation of SACs for animal and plant species of community interest. “The species has suffered a 30% decline in UK distribution since 1960. It has disappeared from Cornwall, has declined in Devon and Dorset, and has been lost from St David’s Peninsula in Pembrokeshire. The main factors influencing the decline are changes in grazing regimes, increasing habitat fragmentation, land drainage and water abstraction. Further degrading of its habitats can only serve to continue the decline. “Time is of the essence in now taking a serious stance in protecting sensitive areas. There must be red lines in permitted development. 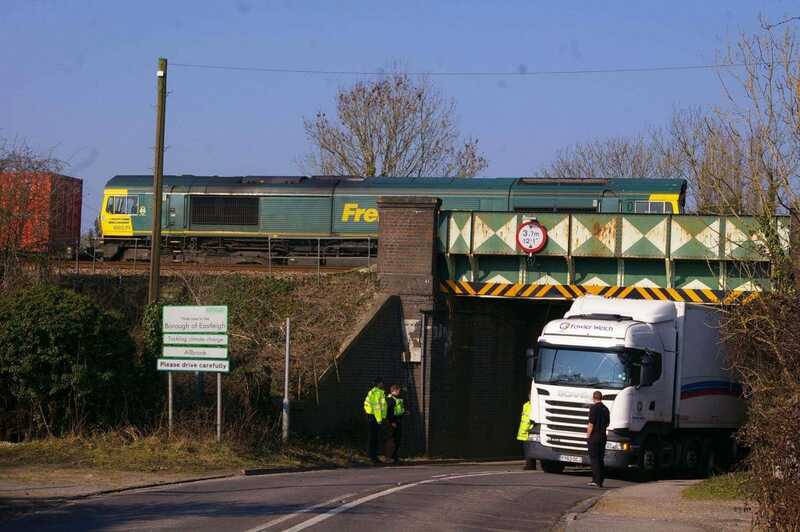 “Further exacerbating the impact of the planned new road, as part of Local Plan options B and C, is its proposed route through the existing Allbrook Railway Arch which is of restricted height (3.7 metres) making it unsuitable for HGV traffic and a flexible bus service using double-decker equipment. There have been 18 ‘strikes’ on the arch since 2008 – 32 since 2000 along with two fatalities due to over-height traffic. An increase in road use will only increase this risk. “Establishment of the North Bishopstoke route will be a direct attack on highly sensitive areas of conservation that cannot be replaced, along with the fact that the road will be of questionable benefit in traffic congestion. “The elephant in the room is the apparent need for an extra 5000+ homes. IF this is substantiated, then there are better ways of achieving it than the destruction of irreplaceable habitat and, by definition, wildlife.